Victoria Bike Nerd: Saddle Up! The bicycle saddle is a very personal thing and there are different types for different bikes. When it comes to road bikes saddle choice is often gets very particular and people become very attached to their saddles. While there are hundreds of different saddles for each type of bike (road, mountain, commuter etc. ), certain models have become more popular than others. Every once in while one manufacturer seems to hit the nail on the head and make a saddle that a large portion of the pro ranks and recreational riders find very comfortable. Let’s take a look at a few of those saddles. 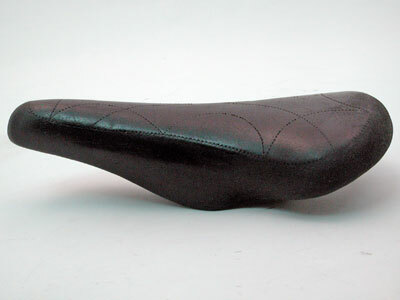 The first bicycle saddles were made out of leather just like a horse saddle. 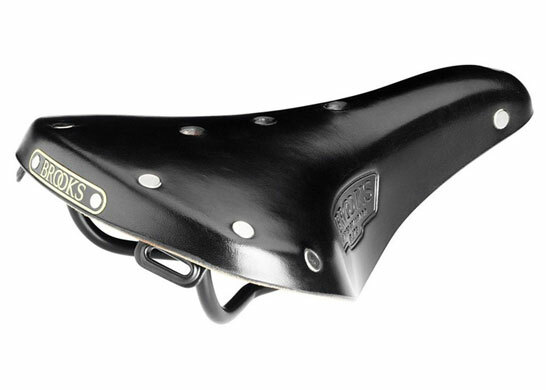 Most people today will recognize the Brooks brand as the most ubiquitous leather saddle ever made. Brooks’ fame is for good reason. They make a saddle designed for any rider from wide saddles with many springs (who needs a suspension seatpost?) to narrow minimalist racing saddles with titanium hardware. Perhaps the most well know is the B17 standard, having been around for over 100 years it is probably the oldest saddle design still in production. This is an all round saddle that is best suited to a position which places the handlebars at or above seat height. It is designed for a slightly more rotated back pelvic position than that of a road racing bicycle. As such, it makes and excellent mountain bike, touring and commuting saddle and is enjoyed by many. It is worth mentioning that there were many other great leather saddle brands such as Wrights of England, and Ideale of France. The most popular racing saddle from brooks has to be the professional. The professional, or team pro, was amoung the most popular saddles in the pro peloton during the leather saddle era, which ended in the 1970s with the introduction of the plastic saddle. One of the first and most popular plastic road saddles was the Unica saddle, later renamed the unicanitor and co-branded with Cinelli (Italian manufacture of fine racing handlebars and stems). This new plastic saddle just seemed to work for many racers and it didn’t need as much break in time as the leather saddles, plus they were much lighter weight. The 1980s saw the introduction of many new brands and styles of plastic (usually leather covered) racing saddles. Some of the most popular included the Turbo by Selle Italia and three models (Concor and later Rolls and Regal) by Selle San Marco. Through the 1990s one of the most popular racing saddles was another Selle Italia design, the Flite. I am not sure how much research went into anatomical design on these saddles but I am going to guess that it is very little. I think they just happened to do a bit of testing and luck out. I should also give a mention to the Avocet Touring series saddle which was very popular for touring and sport touring. Today there is a newcomer to the family of all time classic saddles (many of which have returned to production including the Regal, Rolls, Turbo and Concor) and that is the Arione by Fi’zi:k. Although Fi’zi:k manufactures several models, and most are quite popular, the Arione is the standard. The Arione is my personal go to saddle. I have tried many different saddles on my racing bikes, but every time I get back on an Arione I am reminded why it remains my mount of choice. Please post your personal favourite for others to consider. Remember that saddles are very personal and the best way to find the best for you is to put lots of miles on lots of saddles.